On the 2nd of November 2016 Hornsby Connect opened its doors to lend “A hand-up for all in need”. Hornsby Connects’ President Steve Hopwood and his dedicated team have been working tirelessly to get this non-for profit organisation up and running. The aim of Hornsby Connect is to provide support and hope to those that need it most within the community. With a growing population, the Hornsby Shire covers a large region and has fallen victim to the many social issues that are reflected within the wider society. One major issue identified is the isolation and dislocation that some people experience within our community. Whether it be the elderly or the young, cultural separation, or people experiencing financial hardships, Hornsby Connect is there to help. Come and visit the safe Community Hub that will be open every Wednesday between 12-2pm to enjoy some company or a simple tea or coffee. 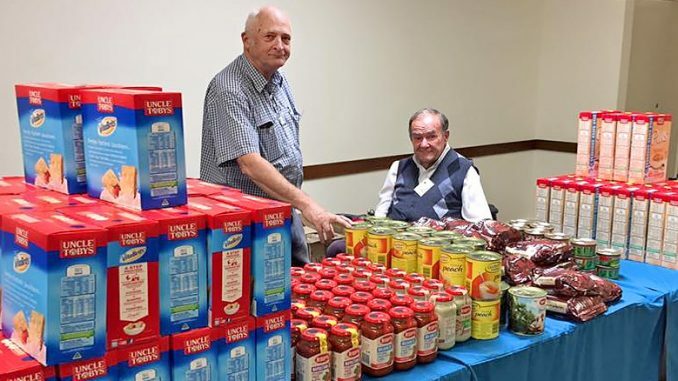 Hornsby Connect’s hub will transform into a low-cost Food Distribution Centre for those experiencing financial hardship by providing bread, milk and groceries such as fruit and vegies. It will also be offering a Café Facility with tea, coffee and cakes to enjoy with company. You can find out more information their website: hornsbyconnect.org.au or Facebook: /HornsbyConnect.